Moms face a sometimes-overwhelming burden in the care of their little (and big!) ones. From never-ending loads of laundry to chauffeur duties and the many hats they wear - nurse, chef, secretary, housekeeper, personal shopper, teacher, therapist, event planner, police officer, etc. – moms need the strength of God's Word to carry them through it all! These memory verse cards offer biblical truths that bring perspective in the midst of trying moments and daily encouragement for moms at every stage of life. 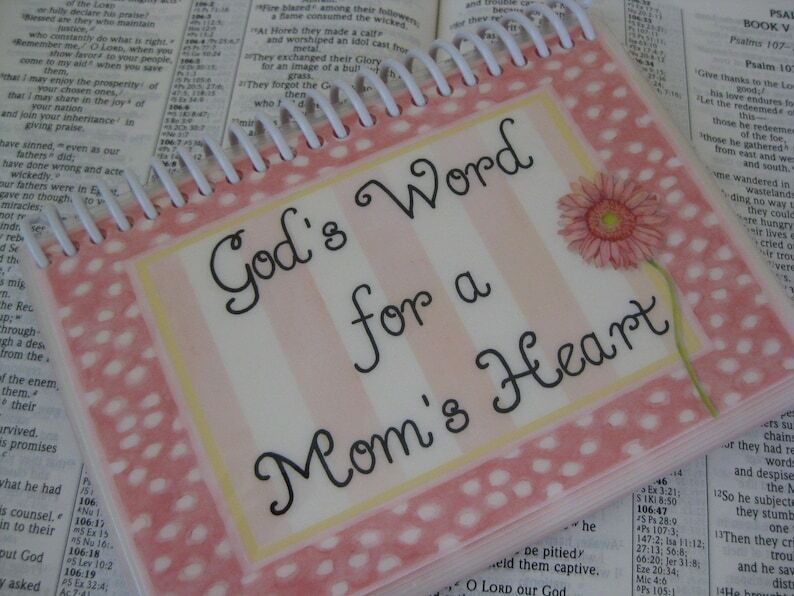 "God’s Word for a Mom’s Heart" includes 15 Bible verse memory cards taken from the NIV or NASB. The verses are specifically chosen to remind moms of God's promises to carry them through the challenging moments of motherhood. These Bible verse cards measure 5 3/4" x 4" and are handmade from top-quality materials, including 10 mil laminate, and are spiral-bound. Tuck them in your purse, diaper bag, car, or next to your bed for quick access. "God’s Word for a Mom’s Heart" makes a great birthday, Valentine's Day, Mother’s Day, Christmas, or just-because gift and comes nicely packaged.